Glynn, a longtime actress in Chicago theater, has appeared in television shows like Starz' "Boss" and NBC's "Chicago Fire"
A Chicago actress who performed in some of the city's most renowned theaters and appeared in hit TV shows like NBC's "Chicago Fire" has died after she was hit by a falling tree during Friday afternoon's storms. Molly Glynn, 46, was riding her bike with her husband in the Forest Preserve Trail in Erickson Woods when she was hit by the tree. Glynn was transported to Evanston Hospital in critical condition. A post on Glynn's husband's Facebook page Friday said Glynn's outlook was "grim." A second post early Saturday morning claimed "she's gone." "I couldn't save her," her husband wrote. The Cook County Medical Examiner's office confirmed Saturday afternoon that Glynn died. Glynn, a longtime actress in Chicago theater, has appeared in television shows like Starz' "Boss" and NBC's "Chicago Fire," where she played a recurring role as an ER doctor. She was also featured in performances at several city theaters, including the Steppenwolf Theatre Company, Northlight Theatre, Writers Threatre, the Chicago Shakespeare Theater, the Goodman Theatre and several others. 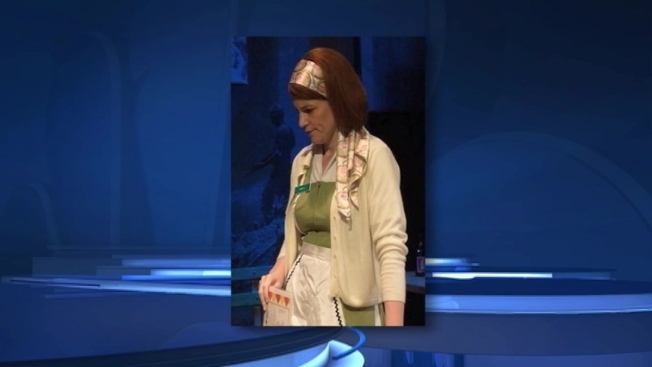 Members of the city's theater community were mourning the death of the local actress. Halberstam said Glynn was most recently featured as an understudy in "The Dance of Death" at Writers and received standing ovations for her performances. Glynn was one of the two city performers to die Saturday. Fifty-year-old Bernie Yvon was killed in a car crash while reportedly on his way to rehearsal in Northwest Indiana. A fundraising page was set up Saturday in hopes of raising money for a "Molly Glynn Memorial Trust." "I was devastated," said Jean Gottlieb, who started the fundraising page. "The first reaction is tears and hurt and heartbreak over what [her husband] and his family are going through, but when you come up for air the next thing you think is 'What can I do?" By 2:30 p.m. Saturday the page had already raised more than $27,000. "The world just dimmed a bit," the page reads. "Again."